Traditionally, Russian festive dishes are mostly salads. Very handy: one can prepare them in enormous quantities before the New Year (biggest Russian holiday, celebrated much more than Christmas) and store them in the fridge. For me, the best moment of the New Year holidays in Russia is the morning of the 1st of January, when one wakes up very late after a big party with family or friends, opens the door of the fridge and has a choice of 4 or 5 of “last year’s” salads for lunch. 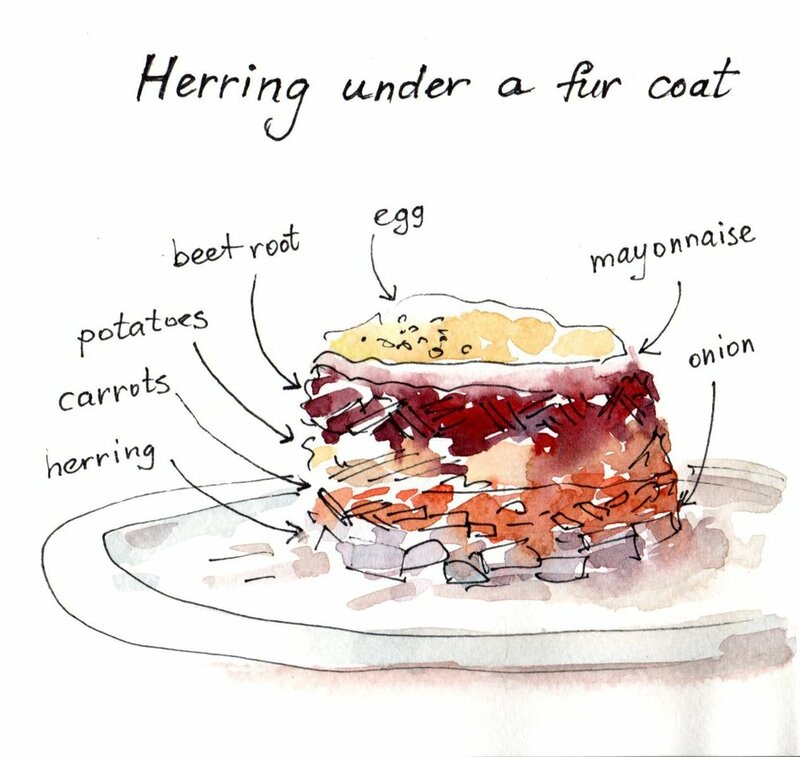 The salad comes in layers: first —sliced pickled herring, then — chopped onion, after —three layers of grated boiled vegetables — carrots, potatoes and beet root respectively and finally mayonnaise and grated eggs on top.